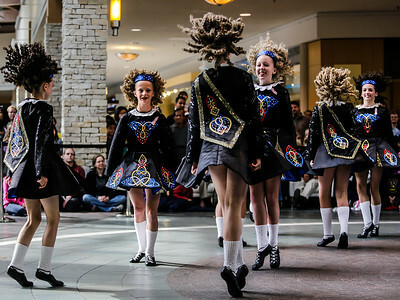 Lathan Goumas - lgoumas@shawmedia.com People watch Irish dancing at a multicultural festival put on by District 300 schools at Spring Hill Mall in West Dundee, Ill. on Sunday, Oct. 20, 2013. The festival included dancing from cultures all over the globe. 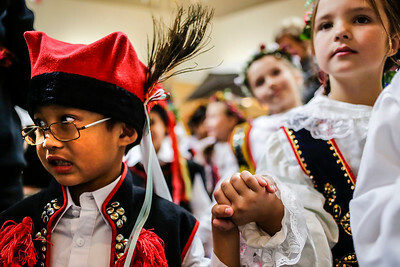 Lathan Goumas - lgoumas@shawmedia.com Looking nervous David Ho, 5, holds the hand of his dance partner Missy Bevel, 6, as Westfield Community School students wait to perform traditional Polish racing during a multicultural festival put on by the District 300 schools at the Spring Hill Mall in West Dundee, Ill. on Sunday, Oct. 20, 2013. The festival included dancing from cultures all over the globe. Lathan Goumas - lgoumas@shawmedia.com Girls do Irish dancing at a multicultural festival put on by District 300 schools at Spring Hill Mall in West Dundee, Ill. on Sunday, Oct. 20, 2013. The festival included dancing from cultures all over the globe. 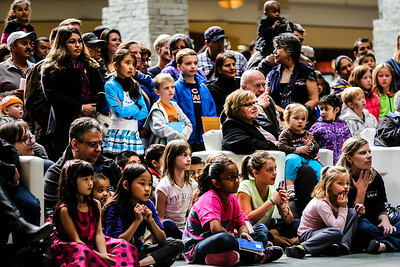 Lathan Goumas - lgoumas@shawmedia.com Victor Alvarez, 17, and Veronica Carrillo, 16, both of Dundee-Crown High School wait to perform at a multicultural festival put on by the District 300 schools at the Spring Hill Mall in West Dundee, Ill. on Sunday, Oct. 20, 2013. The festival included dancing from cultures all over the globe. Lathan Goumas - lgoumas@shawmedia.com Veronica Carrillo, 16, of Dundee-Crown High School waits to perform at a multicultural festival put on by the District 300 schools at the Spring Hill Mall in West Dundee, Ill. on Sunday, Oct. 20, 2013. The festival included dancing from cultures all over the globe. 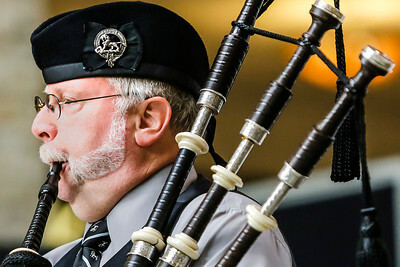 Lathan Goumas - lgoumas@shawmedia.com Steve LaRue plays the bagpipes at a multicultural festival put on by the District 300 school at the Spring Hill Mall in West Dundee, Ill. on Sunday, Oct. 20, 2013. The festival included dancing from cultures all over the globe. 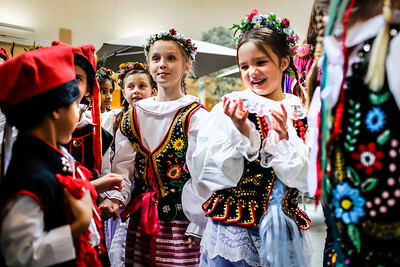 Lathan Goumas - lgoumas@shawmedia.com Westfield Community School students wait to perform traditional Polish racing during a multicultural festival put on by the District 300 schools at the Spring Hill Mall in West Dundee, Ill. on Sunday, Oct. 20, 2013. The festival included dancing from cultures all over the globe. Veronica Carrillo, 16, of Dundee-Crown High School waits to perform at a multicultural festival put on by the District 300 schools at the Spring Hill Mall in West Dundee, Ill. on Sunday, Oct. 20, 2013. The festival included dancing from cultures all over the globe.